Bio Magnet Therapy Protocols for over 170 conditions without side effects. The Advanced Magnet Therapy Kit has helped people all over the world to overcome serious health conditions and maintain good health. It is a complete package of all three sizes of our Rare Earth BioMagnets so that all the advanced therapies developed by The Foundation for Magnetic Science can be employed by anyone. The Advanced Magnet Therpay Kit has everything: 14 bio-magnets, an award winning instruction book, pictorial instructions on all the advanced circuit therapies, water jar energizers to properly energize water to increase your body?s Zeta potential - the energy responsible for good health and an excellent activated oxygen product that has shown to support energy and metabolism so important in wellness. 6 Power Wafers for Sternum or CVS Therapy and Pain Relief. 4 Regular BioMagnets for Meridian Energizing, Circuit Therapy. For general magnet therapy: size of a dime, lightweight, very powerful and easy to apply. Excellent for all areas of pain such as headaches, toothaches, foot therapy, any localized injury. Daytime, CVS placement (back of neck) and Night time and Overnight Meridian Energy therapies. 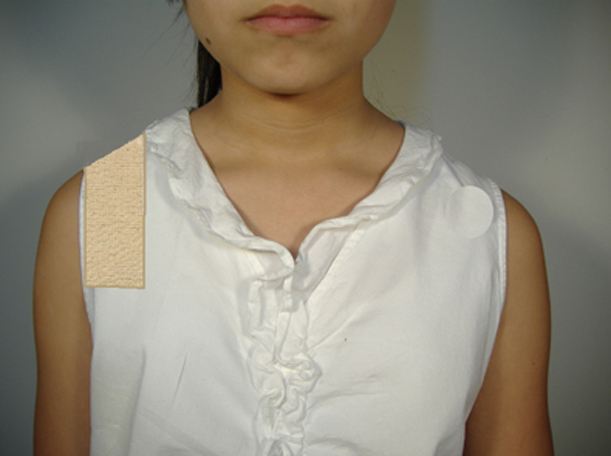 Is generally used as a 2-Stack by placing on both sides of a band aid or by attaching one inside clothing and one outside of the clothing over the location. The 2-Stack has a deep penetrating energy. * +2000 True Surface Gauss, 12,800 core gauss each. Used for daily Meridian Energizing, advanced therapies and/or chronic illness. each Regular BioMagnet is Nickel-sized and 1/4th inch thick. Our most powerful BioMagnet and the most powerful Super BioMagnet available in the marketplace. Important for very deep tissue therapy, large bone, joint circuit therapy and chronic deep seated illnesses. Each Super Biomagnet is approximately the size of a quarter and a half an inch thick. * 3150 True Surface Gauss, 12,800 core gauss each. In his book, "Conquering Pain: The Art of Healing With Biomagnetism", Peter Kulish devotes a chapter to explaining the benefits of magnetized water such as increasing your hydrogen values for increased health. 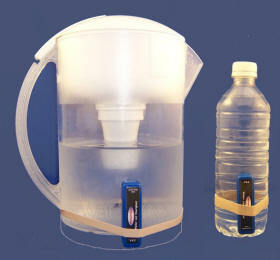 Simply attach to the outside of a water container and within minutes you will have delicious magnetized water. A practical, inexpensive way of creating negatively charged water. Bottle: 2 fluid ounces provide a one to two month supply of Activated Oxygen. One of the safest, most available forms of oxygen in liquid form for use in drinking water; oxygen is the most essential ingredient of the body and is utilized in therapies for maintenance of health and vitality or illness. Activated Oxygen has shown to be highly supportive in overcoming colds and viruses. Activated Oxygen is used in many of BiomagScience?s health protocols. "Conquering Pain The Art of Healing with BioMagnetism"
Award winning magnet therapy book with indexed therapies for pain and more than 170 acute, chronic and very basic health problems. Backed by several decades of research, design and scientific development throughout the world. Shows the body?s polarities, how to apply specialized circuit therapies, nerve, tissue and bone regeneration and the what, how, and why BioMagnetism is one of the most important energy medicines of our contemporary time. Over 200 Pages Worth Healthful Information! LEARN the importance of magnetized WATER. With two decades of clinical research experience, Mr. Kulish is literally leading the way in the filed of magnet therapy. His scientific studies are recognized worldwide by hospitals and universities for the therapy of pain and serious medical conditions. "Proper use of Biomagnets can often help when medicines are not very effective. This Book offers a variety of the proper applications of Biomagnets for many different medical conditions.? ?If you are one of the millions of people who experience chronic pain due to injury or poor health, this book will guide you to the pain relief you seek without the side effects of dangerous drugs.? 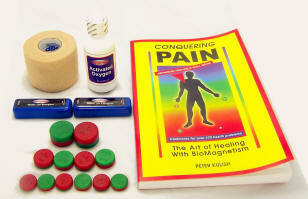 The Advanced Magnet Therapy Kit Includes All of the Following Kits in ONE Great Package! Activated Oxygen is a safe method ?- drops are added to water - of elevating the body's oxygen levels. Activated Oxygen is safe; it cannot over-oxidize the cells because the iron atoms in the red blood cells (oxygen-carriers) only release the amount of oxygen the cells can utilize. Oxygen plays a crucial role in the 21st century where pollution and stress sabotage our health. Activated Oxygen addresses the needs of the body and helps ensure vitality, increased mental alertness, resistance to flu and many other health conditions. BAO can also purify and preserve stored drinking water for years. Will Biomagnets really work for you? All of our BioMagnetic applications used throughout the world have shown excellent, rapid results. Simply, when used correctly, magnetic fields have shown to elevate the cell's vitality and as a response, the body moves in a very progressive, positive trend toward health. Another example is an individual with a cirrhotic liver who could not even sit up. After one day of advanced therapy, he was up and around as if he was never sick. Another great example is the fellow who crushed both of his legs (see testimonial "Crushed legs") a few inches below his knees in a car crash. That was at the end of October. With the use of our Super BioMagnets, he was able to heal completely pain-free (drug-free) and by X-Ray testing, was totally healed and walking by the middle of January. In this type of case, the subject wasn't expected to walk till August. Of course, he used the Advanced Protocols to ensure the correct energy supplementation. "This science scales both ends of the health spectrum - from the aches and sprains to instantly increasing the Zeta potential of the cellular tissue which supports rapid healing of many serious health conditions." One may look on our site under clinical research. These tests show how the magnetic energy has increased the Zeta potential (see BIA tests) which has led to the body's progressive healing. Most people do not know what the Zeta potential is. The Zeta potential is the Negative charged energy that is important for cellular transfer, neutralization of free-radicals and reduced swelling. High Zeta potential indicates health and metabolic efficiency - low Zeta potential indicates poor health. This is the most important aspect of this science. When one hurts oneself, the site goes into a positive state and a signal is sent to the brain which in turn sends healing negative energy to the site. So we know that it is the negative energy which heals. What we have learned is that the body progresses toward rapid healing with a properly designed and properly placed negative field biomagnet. It is important to note that on the limbs, shoulders and hips, it is required to know the proper BioMagnetic placement as one side of each limb is positive and the other side is negative. Although this is known physiology - it has been carefully evaluated and confirmed by voltage testing with a SQUID - a Super Conducting Quantum Interference Device - a million dollar voltmeter which can measure millionths of a volt. Since our therapies are used to amplify the normal healing charge by using DC (direct current) magnetic fields, it is important to apply the negative side of the magnet to the negative side of the limb. Many people have remarked that it is painful using the negative pole on the positive side of the limb. Just like the DC battery in your car - if the jumper cables are put on wrong poles, it sparks the electricity - in the body, magnetism also short circuits the energy pathways of the body if incorrectly applied. But when used properly, many individuals express rapid healing often with almost instant pain relief. What is the Foundation for Magnetic Science? It is a non-for-profit science group devoted to researching and developing the proper electromotive therapies for all health conditions. Since recognizing, creating, and integrating advanced therapies to stimulate the correct energy pathways of the body, our Advanced Protocols have brought together a growing group of practitioners in various fields who have joined with us in our quest in developing the best supplementation and energy therapies to help the human condition. See more here: "Bio Cellular Electrical Analysis with BIA Testing"
"After Meridian Energizing Therapy my son's severe asthma went away." A.S.
"My nine-year-old son was an epileptic with grand mal seizures. Since using BiomagScience BioMagnets he has never had another seizure." E.L.M.T. "After using BiomagScience BioMagnets I canceled my hip replacement surgery and within one month, I was swimming more than a mile a day!" J.H. "I had Coronary Thrombosis but couldn't afford the operation. After using the BiomagScience BioMagnets for six months my heart was healed. I had two astonished practitioners confirm this. Now I walk long distances without a cane. Amazingly, the BioMagnets also got rid of my arthritis." A.A.
" I had chronic daily pain in my right foot and ankle due a motorcycle accident that nearly took my foot off. Some days I couldn't walk. Shortly after I started the magnets, the daily pain subsided immensely. I still need them when I have bad days. They are the only thing besides painkillers that work for me to control the pain." Chad K.
Ok, now you know! Magnet therapy is a measurably effective way to combat illness and promote optimal health. This is why so many companies are starting to offer magnet related products for the home, the body, and more. Below we've presented a few products that we use in our daily lives. We believe every home can benefit from magnetic field therapies. Advanced Magnet Therapy Kit - Just $179!! See above for items included, with descriptions. LEARN the proper scientific placement for Bio-magnetic usage. KNOW why using bi-polar or positive Bio-magnets could be playing with fire. Everyday, people throughout the world are successfully using magnetic therapy to eliminate chronic back pain, headaches, toothaches, arthritis, tendonitis, carpal tunnel syndrome and a host of other painful and/or chronic maladies. With two decades of clinical research experience, Peter Kulish is literally leading the way in this therapeutic field. His scientific studies are recognized worldwide by hospitals and universities for the therapy of pain and serious medical conditions. These are the same magnets used by famed magnet/cancer researcher William H. Philpott in his book, "Magnet Therapy". Structure, Oxygenate, Magnetize, & Energize Your Own Water! This AMAZING water will Re-Vitalize you! Disclaimer: These statements about magnets, magnet therapy, bio-magnets, magnetic water, etc... have not been evaluated by the Food and Drug Administration. The information contained here about water filters is not intended to diagnose, treat, cure, or prevent any disease. Suggestions and ideas presented in this document should not be interpreted as medical advice, meant for diagnosing illness, or for prescriptive purposes. The information in this document is not to be used to replace the services or instructions of a physician or qualified health care practitioner. Bio Magnet therapy for over 170 conditions.